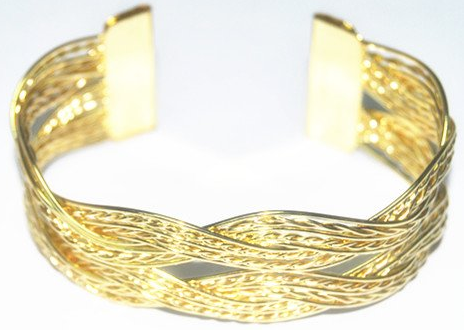 Golden Tone Ribbon Overlapping Bracelet Only $4.07 Shipped! You are here: Home / Great Deals / Amazon Deals / Golden Tone Ribbon Overlapping Bracelet Only $4.07 Shipped! Bangles and bracelets are hot in the summer and this Golden Tone Ribbon Overlapping Bracelet is Only $4.07 Shipped! This would look great with just a white tee and a maxi skirt or even on the beach! Get yours NOW!